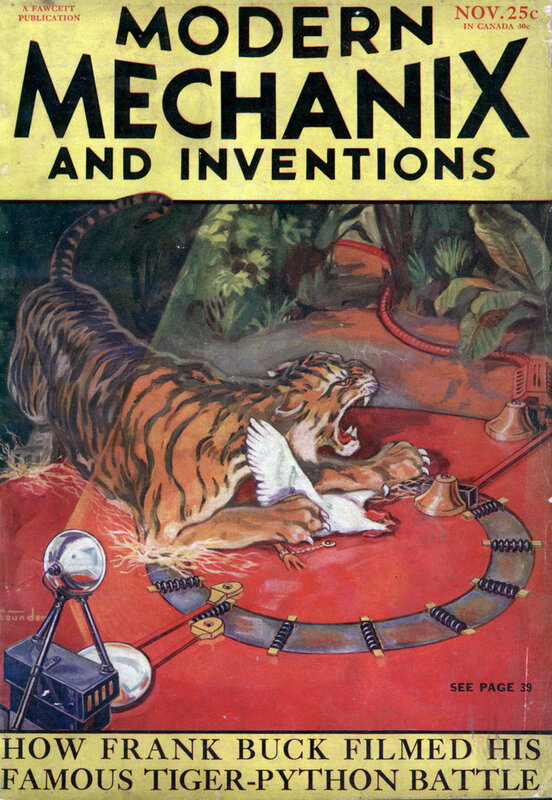 MOTION pictures are being given another eye. 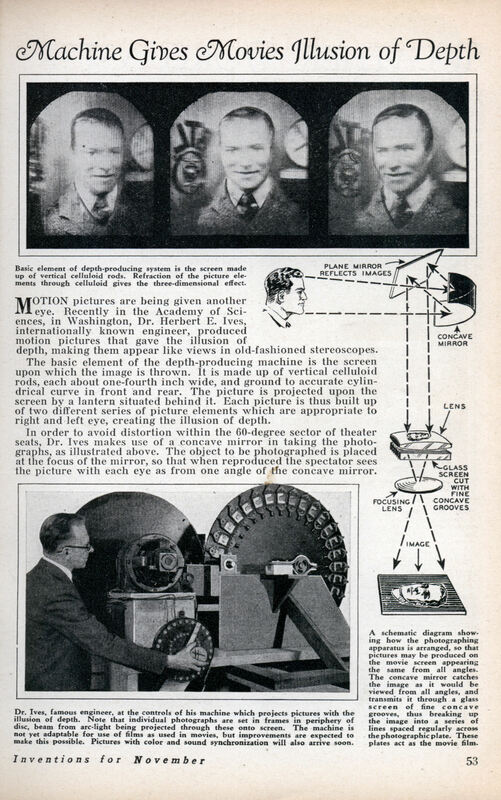 Recently in the Academy of Sciences, in Washington, Dr. Herbert E. Ives, internationally known engineer, produced motion pictures that gave the illusion of depth, making them appear like views in old-fashioned stereoscopes. The basic element of the depth-producing machine is the screen upon which the image is thrown. It is made up of vertical celluloid rods, each about one-fourth inch wide, and ground to accurate cylindrical curve in front and rear. The picture is projected upon the screen by a lantern situated behind it. Each picture is thus built up of two different series of picture elements which are appropriate to right and left eye, creating the illusion of depth. In order to avoid distortion within the 60-degree sector of theater seats, Dr. Ives makes use of a concave mirror in taking the photographs, as illustrated above. The object to be photographed is placed at the focus of the mirror, so that when reproduced the spectator sees the picture with each eye as from one angle of the concave mirror.